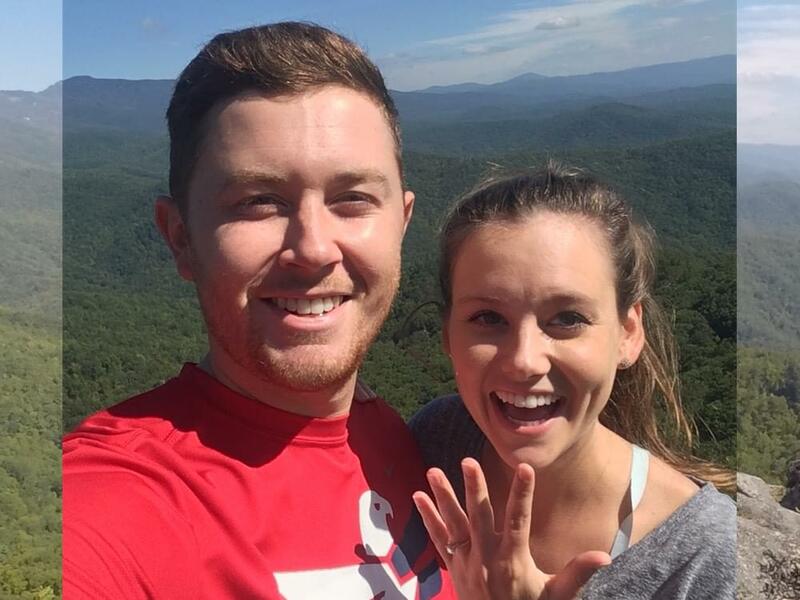 Scotty McCreery and longtime girlfriend Gabi Dugal are engaged. Scotty popped the question during a hike in the mountains of North Carolina near Grandfather Mountain. When the couple summited the mountain, Scotty got down on one knee, presented a ring he had helped design specifically for her, and asked Gabi to be his wife. Gabi is a graduate of the University of North Carolina and currently works as a pediatric cardiac nurse at Duke University Hospital. Check out a few pics, courtesy of EB Media.